Psychological burdens are associated with young male transsexuals in Korea. Kim TS, Cheon YH, Pae CU, Kim JJ, Lee CU, Lee SJ, Paik IH, Lee C Psychiatry Clin Neurosci. 2006 Aug;60(4):417-21. In vivo evidence of brain damage in patients associated with chronic alcohol abuse. Kim DJ, Cheon YH, Yoon SJ, Chung YA Alcoholism: Clinical & Experimental Research. 30(6) Supplement:191A, June 2006. Magnetic resonance spectroscopy in patients with alcohol related dementia. 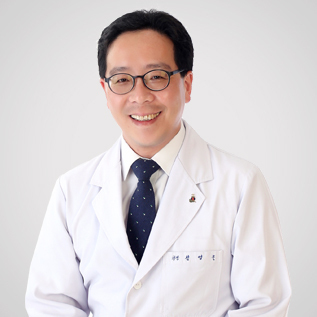 Kim DJ, Cheon YH, Ahn KJ Alcoholism: Clinical & Experimental Research. 30(6) Supplement:193A, June2006. In vivo evidence of brain damage in patients associated with alcoholic dementia. Kim DJ, Cheon YH, Yoon SJ, Chung YA Alcoholism: Clinical & Experimental Research. 30(9) Supplement:136A, September 2006. 5' UTR polymorphism of dopamine receptor D1 (DRD1) associated with severity and temperament of alcoholism. Kim DJ, Park BL, Yoon S, Lee HK, Joe KH, Cheon YH, Gwon DH, Cho SN, Lee HW, NamGung S, Shin HD. Biochem Biophys Res Commun. 2007 Jun 15;357(4):1135-41. Epub 2007 Apr 19. A common DRD1 polymorphism associated with severity and temperament among patients with alcoholism in a Korean population. Cheon YH, Shin HD, Park BL, NamGS, LeeHK, JoeKH, KimDJ. Alcoholism: Clinical & Experimental Research. 31 Supplement 6:70A, June 2007. Regional cerebral blood flow changes in patients associated with alcohol induced cognitive decline after memantine treatment. Kim DJ, Kim YB, Oh JH, Min HK, Joe KH, Cheon YH, Chung YA. Alcoholism: Clinical & Experimental Research. 31 Supplement 6:107A, June 2007. High prevalence of HBV and HCV infection among intravenous drug users in Korea. Yun H, Kim D, Kim S, Kang S, Jeong S, Cheon Y, Joe K, Gwon DH, Cho SN, Jee Y. J Med Virol. 2008 Sep;80(9):1570-5. Regional cerebral blood flow in patients with alcohol-related dementia: a SPECT study. Chung YA, Choi SW, Joe KH, Jeong J, Cheon YH, Kim DJ. Int J Neurosci. 2009;119(11):2100-11. The change of plasma ghrelin and leptin levels by the development of type 2 diabetes mellitus in patients with alcohol dependence. Ju A, Cheon YH, Lee KS, Lee SS, Lee WY, Won WY, Park SI, Kim WH, Kim DJ. Alcohol Clin Exp Res. 2011 May;35(5):905-11.Epub 2011 Feb 5. The Effects of Alcohol Abstinence on BDNF, Ghrelin, and Leptin Secretions in Alcohol-Dependent Patients with Glucose Intolerance. Kim J, Kim S, Lee W, Cheon Y, Lee S, Ju A, K M, Kim D. Alcohol Clin Exp Res. 2013 Jan;37 Suppl 1:E52-8. Nicotine dependence syndrome scale and craving: comparing nicotine-dependent individuals with and without comorbid alcohol dependence. Choi SW, Chon Y, Bhang SY, Jang YL, Won WY, Choi JT, Kim DJ. Asia Pac Psychiatry. 2014 Jun;6(2):200-6. doi: 10.1111/appy.12008. Epub 2012 Nov 2. Alterations of regional cerebral blood flow after NMDA receptor antagonist administration in patients with alcohol-related dementia. Chon YH, Jeong HS, Im JJ, Oh JK, Kim DY, Chung YA Int J Imaging Syst Technol. 2017;27:376–382. The association between the nicotinic acetylcholine receptor α4 subunit gene (CHRNA4) rs1044396 and Internet gaming disorder in Korean male adults. Jeong JE, Rhee JK, Kim TM, Kwak SM, Bang SH, Cho H, Cheon YH, Min JA, Yoo GS, Kim K, Choi JS, Choi SW, Kim DJ. PLoS One. 2017 Dec 14;12(12):e0188358.